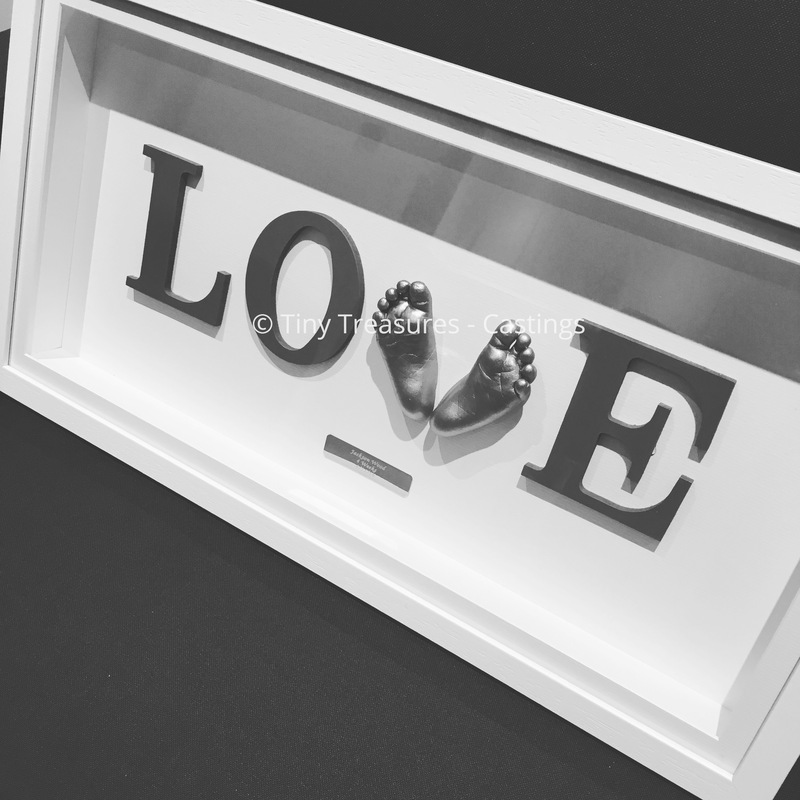 Lightweight, super soft, imprint of hands or feet. 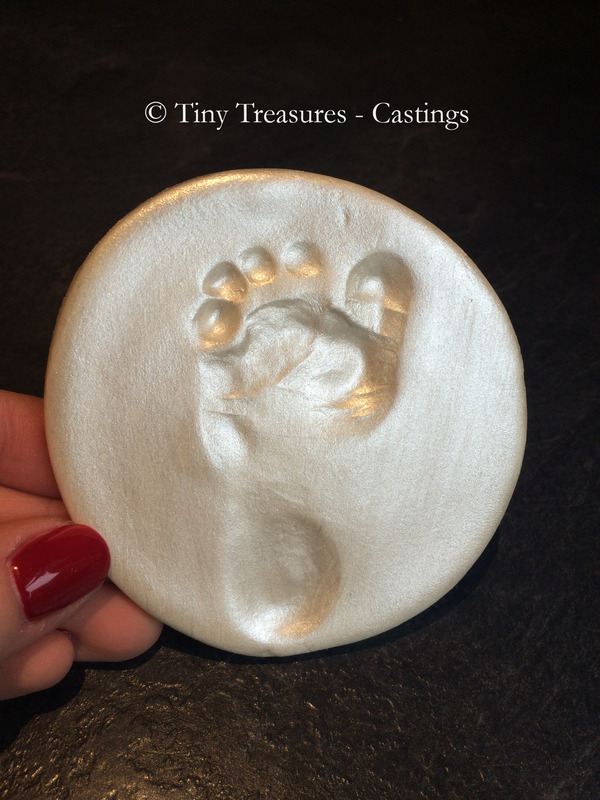 These low cost imprints are a perfect gift for Grandparents and Family Members. 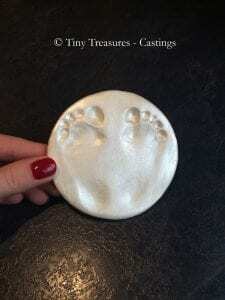 Produced using a lightweight, super soft, clay; these mouldings are less fragile than a casting. Ribbon finish optional.